Sandy came into my life when she was 6 years old. Rescued from running wild in the country, she had been placed in homes a couple of times and returned to the shelter. She had that sweet temperament that all goldens seem to possess. 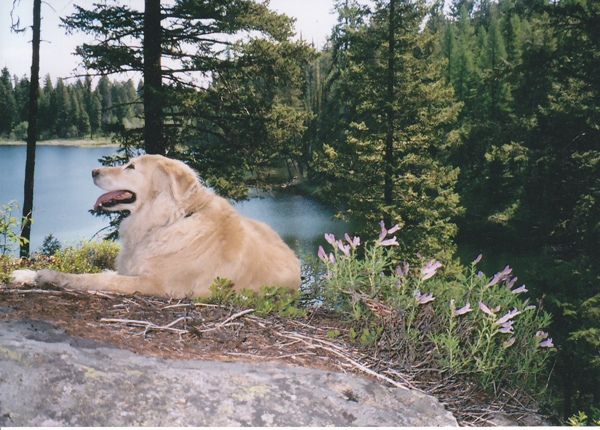 A perfect camper and hiking companion, we had many adventures together. Sandy was a teacher - she taught me patience! She crossed the Rainbow Bridge in the spring of 2010 at the grand old age of 13 and thinking of her still brings a tear.